All above ground fuel tanks supplied by Cameron Forecourt are manufactured from steel to a design that meets the requirements of the Environment Agency Oil Storage Regulations as per DESRA. Above ground fuel tanks are supplied in a double skinned or totally enclosed configuration that provides secondary containment in the event of a leak or a spillage. 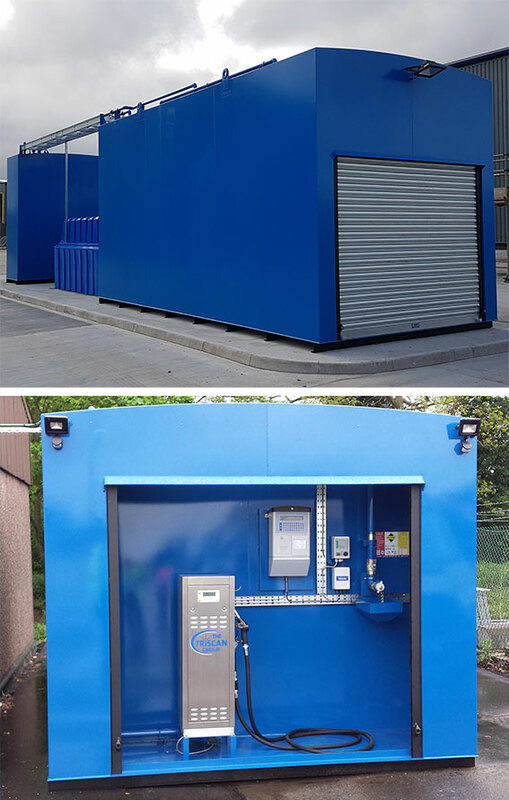 Above ground diesel storage tanks are available to suit a wide range of applications and can be supplied with storage capacities from as little as 2000 litres up to those in excess of 100,000 litres. In addition we can supply all associated equipment including gauging, pumps, fuel management and ongoing service maintenance. Centaur can supply a full range of both above and below ground fuel storage tanks, built to suit the individual customers requirements. Click through to the Centaur website to see the latest online fuel monitors. SAFE, SECURE FUEL STORAGE THAT MEETS CURRENT LEGISLATIVE STANDARDS. 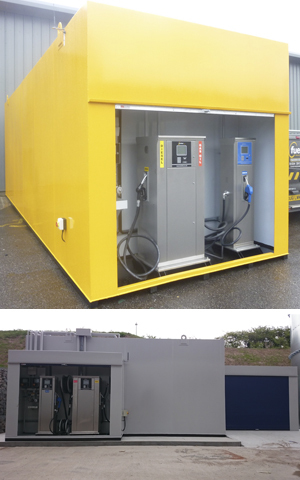 The Fueltek Fuel Store is a secure, safe and cost effective way of storing and dispensing fuel. 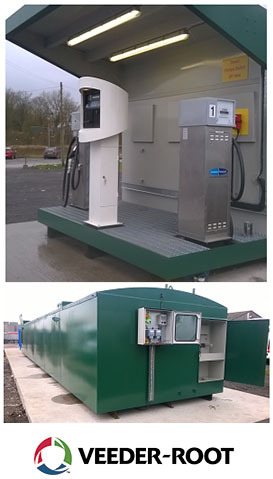 The Fueltek Fuel Store can be supplied as a simple fuel storage tank to connect to existing fuel pumps or can be fully specified complete with fuel pumps, fuel management system, tank contents gauges, bund leak & overfill alarms. All equipment can linked together to report through cloud based software. Fueltek FS tanks are supplied with a 25 year guarantee and conform to BS799, BS2594/prEN12285 and BS2654. All Fueltek dispensing equipment is manufactured to EN13617-1 and is approved by ATEX for diesel as the current legislation requires. 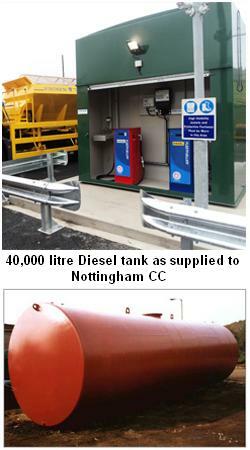 Fueltek can supply Fuel Storage Tanks, Fuel Pumps, Fuel Management Systems. 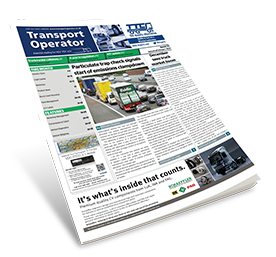 Tank contents Gauges and all other ancillaries used to fuel commercial vehicles. We can supply equipment as a turnkey package or individually. ALL FUELTEK PRODUCTS ARE AVAILABLE ON LEASE OR OUTRIGHT PURCHASE – CLICK BELOW FOR FURTHER DETAILS. We supply an extensive range of tanks for the fuel industry. Safe, secure and cost effective, our fuel tanks have been specifically designed to withstand any environment, making them suitable for use in all market sectors. Our tanks are custom built to match individual requirements with end cabinets or side cabinets that can be fitted in a number of configurations from a single pump and tank gauge to a complete fuel management solution. Backed by our national network of engineers we ensure to complete the entire project on time and within budget. 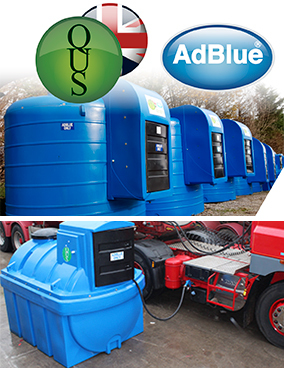 Using over 1000 litres a month of AdBlue? FREE of CHARGE and in most cases reduce your AdBlue® price at the same time.